Pioneer Law Group, LLP is proud to serve on the board of directors of The Sacramento Zoological Society through Jeffrey K. Dorso. In 1927 “the little zoo in the park” was born. The William Land Park Zoo opened its gates on June 2, 1927 as the City of Sacramento brought together an assortment of animals from various local parks. At that time, the 4.2 acre Zoo was home to a collection of 40 animals that included monkeys, raccoons, birds, deer and various other small animals. A male giraffe arrived from Africa to be with "Lady" during the fall of 1954. 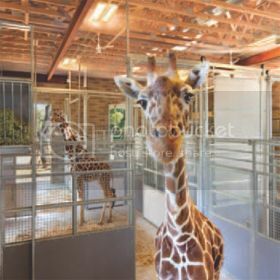 The Sacramento Zoological Society formed in 1956 to support and raise funds for the city zoo, and would later take over day‐to‐day management of zoo operations in July 1997 under an alliance agreement with the city. The nonprofit 501(c)(3) Sacramento Zoological Society, formed in 1957, assumed financial and daily management of the Zoo (from the City of Sacramento) in July 1997. Since its inception, the society has served as the fundraising organization for the Zoo, providing funds for animal care, education and conservation programs. We design our nationally recognized education programs for children and adults of all ages. Society‐sponsored school programs reach an average of 60,000 to 80,000 students per year—both at the Zoo and off‐site at area schools and community venues. More than 10,500 local and regional households are members of the Sacramento Zoological Society. 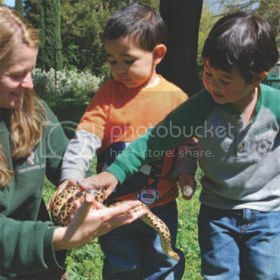 As an educational institution, the Sacramento Zoo follows the California State Board of Education science content standards through a variety of programs. Each year there are approximately 70,000 school children from a 24 county region that visit the Zoo on organized school field trips. A few of the programs we offer are: summer school, family and group overnights, ZooMobile, wildlife stage shows, zoo tours, zoo previews, operations adaptations, animal encounters, exhibit talks and much more.